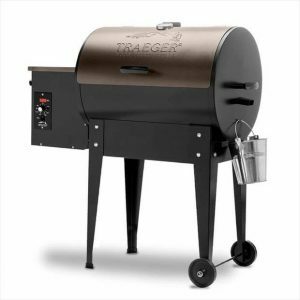 It is not enough to choose the right Traeger Grill, but the choice of wood pellets can impact the success and flavors of your barbecue. 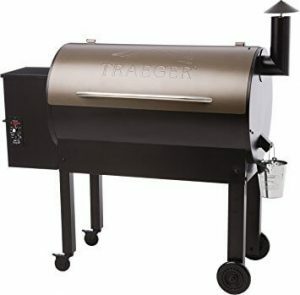 The grill flavors depend greatly on the type of wood pellet you use in the BBQ to grill or smoke your favorite meat. For those of you who desperately want to master the nuances of smoke flavors that really spice up your food make your recipe stand out, we have prepared this wood pellet flavor guide so that you can have a perfect understanding of why we need certain pellets for certain food. 1. ALDER PELLET: It is a mild pellet with a hint of sweetness. They are known to be the most versatile ones because of this mildness in terms of flavor and aroma. Alder wood liberates a great amount smoke which does not overwhelm even the delicate flavors of fish, chicken etc. Bacon wrapped scallops are the best thing to try out with alder wood smokey flavor. 2. APPLE PELLET: Gives off a smoky, mild and fruity flavor. Apple pellets are usually used in poultry and pork. They are basically enhancing the meats that are of mild flavor. Try out smoke roasted apple pie in the apple pellet, you can imagine the awesomeness! 3. CHERRY PELLET: This pellet adds a strong flavor which is sweet but also tart. This one comes to use where you want to add that hearty smoke flavor. Do not miss out on the amazingly flavored marinated beef ribs if this is one you are planning to buy. This could be a solid choice for a gluten free BBQ or a vegetarian meal. 4. HICKORY PELLET: If you are one those who crave for the strongest of flavors then Hickory wood pellet is the right thing for you. This one is the most widely used as it compliments most of the meats giving off its strong, rich, smoky bacon like flavors. Some find it too strong and it leads them to mix hickory wood with apple or oak wood pellets. These pellets would make a solid choice for a good ‘ol tailgate cookout party. 5. MAPLE PELLET: Its Pork and Turkey that comes into our minds when talking about Maple wood pellets. They give a hint of sweetness to these meats that make them all the more delicious and mouth watering. 6. MESQUITE PELLET: This one is Texas’s favorite BBQ pellet. It gives off a strong smokey tangy and spicy flavor to foods. Recipes that are in need of that little “something extra” is in need of nothing but this wood pellet smoke to infuse them with its hearty smoke flavors. South Western stuffed peppers are must to try on Mesquite wood pellets. 7. OAK PELLET: This provides a middle ground flavor in terms of the smoke intensity. It is stronger than cherry and lighter than hickory smoke flavors thus giving off perfect and balanced flavors for fish and vegetables. 8. PECAN PELLET: Like spicy flavors? Pecan wood pellet will give you the perfect blend of nutty yet spicy flavors. They add great taste to the baked foods too. 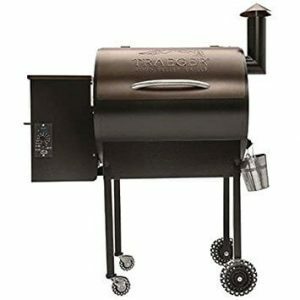 Beef and chicken taste best with Pecan smoke because of the balanced flavors they taste great with. 9. TENNESSE WHISKY PELLET: This pellet is for making the red meat taste perfect. A sweet and strong smoke that infuses the meat and gives a aromatic tang to please our senses. Now that you have all info on the different types of wood pellets, you’re probably wondering which wood pellets are appropriate for smooth burning. For starters, great idea! You’ve chosen an economical, practical and ecological source of fuel. Since the development of the Renewable Heat Incentive, homeowners and other organizations are looking for innovative and environmental fuel sources. Alongside solar power, the use of wood pellets is progressing as one of the most efficient ways of generating heat. Wood pellets are manufactured by compressing wood shavings and sawdust from mills. The compression leads to the formation of small dense, dry cylinders with impressive heating power. Surprisingly enough, the most frequently asked question is: ” Should I burn softwood or hardwood pellets?” Well, its all about choosing the right fuel based on your grill, budget and maintenance needs. Getting the perfect fuel source is all about striking a balance between quality and price. Hardwood pellets are made from trees such as oak and beech while the softwood ones are manufactured from pine or cedar. The simple truth is softwood pellets are way better as a source of fuel, although hardwood has earned a high reputation for building high-end furniture. They burn way hotter and cleaner in addition to a lower ash output. Ultimately being more efficient. This might sound weird considering the superiority of hardwood. As obvious as it sounds, wood pellets having a high moisture content don’t burn right. The moisture contents combined in the wood pellets determines how long it’ll take you to light your pellet grill. Minimal moisture pellets don’t take long. According to certified pellets producers, wood pellets should only contain 10% moisture or even less. Low moisture pellets produce higher heat per the kilogram increasing the effectiveness of your pellet grill. Choose wood pellets that have less than 10% moisture content to achieve the best burning results. The heat output from wood pellets has the standard measurement of KW/h. This measurement is used to compare different pellets by their performance by heat value. Moreover, this measurement can help you estimate your yearly fuel costs from your pellet grill. Wood pellets with a high heat output increase the efficiency of operation while saving on costs. More so, they will burn longer. Additionally, heat output is also measured in the BTU value. The best pellets have high BTU ratings. This is between (8000-2500) BTUs. Sometimes, the packs of wood pellets have moisture free labels. They describe the BTU rates when all the moisture is removed. The smartest and realistic choice would be to aim for something between 8200-8800 BTUs. When wood pellets burn, they leave residual ash. 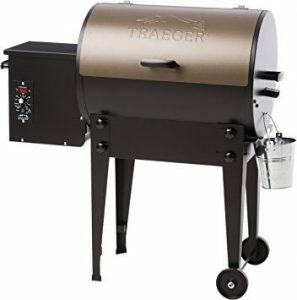 The residue can accumulate in lumps that can easily block the pellet grill. It’s a no-brainer! Before you settle on wood pellets, double check its ash melting temperature values. The value should range from the 1200 degree mark. 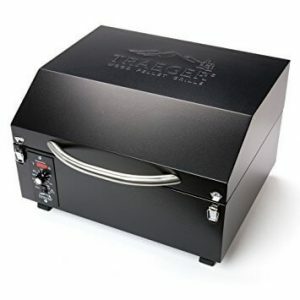 High ash melting temperature generally reduces the build-up of ash while increasing the performance of the pellet grill. Similarly, when choosing the best wood pellet, look for one having low ash content. A lower ash level produces a high heat level at minimum maintenance of the burn. The best quality wood pellet usually has 0.7% ash content. A high content of ash will gradually contaminate the pellet grill reducing its effectiveness. One thing’s for sure; size is everything when it comes down to choosing the best wood pellet. 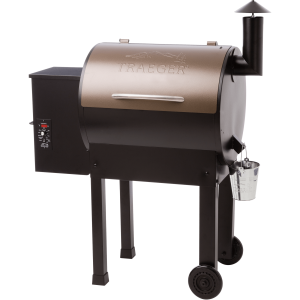 Each pellet grill is designed to accommodate wood pellets of a particular design and sizing. Before you rush in and get one, ensure you get the right size. 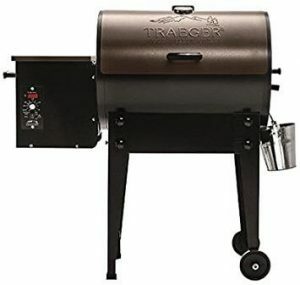 It will save you a bunch by increasing grill efficiency while decreasing the emissions produced. Higher quality wood pellets are often sized evenly. They have a firm statue with solid consistency. Talking about the size of wood pellets, their length matter significantly. Uniform length reflects on stable and consistent mill performance. According to reports, the optimum length for wood pellets is between 30mm to 40mm. When length varies notably from this value, it is probably due to wrong setting of the pellet mill. Overall, you want to choose short wood pellets. The shorter the pellets are, the more fuel you feed the grill. Have you ever examined a bag of wood pellets? Well, the chances are that you identified some fines. They are inevitable! Even the highest quality wood pellets have them. They are mainly produced during transit. However, the best wood pellets only contain 1% of fines. Too many fines are usually as a result of weak compression of pellet mills. Frankly speaking, be cautious about the constituents of the wood pellets you go for. Some additives lower the quality of the wood pellets. The smartest choice would be to go for the all wood quality. You don’t want other foreign elements such as bark or cardboard. Pellets that are free from glue, recycled materials, and cardboard produce less ash in addition to being hotter. The best wood pellets have smooth surfaces free from cracks. When there are multiple cracks, it means that the raw material wasn’t the best quality. Wood pellets are environmental friendly fuel sources for cooking in your pellet grill. It always smells divine and almost never produces smoke. That being said, you have an idea on which wood pellets you are going to choose. Considering all these factors, the wood pellets you end up picking will give you more heat at the right value for your money. Thereby ensuring you have the best cooked meats! 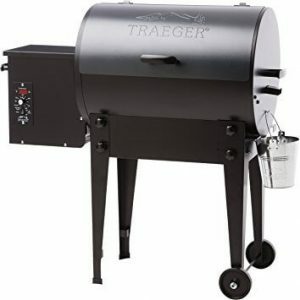 As a result, you will substantially experience a more excellent performance from your grill owing to the high heat output and minimal residue. Now make it happen!